A city worker has pulled a trio of adorable coyote pups from a storm drain in Lacey, Washington state. Adorable photographs posted on the City of Lacey's official Facebook page show one of the pups snuggling up with rescuer Greg Lee on Wednesday. "Look what we found," the image was captioned. 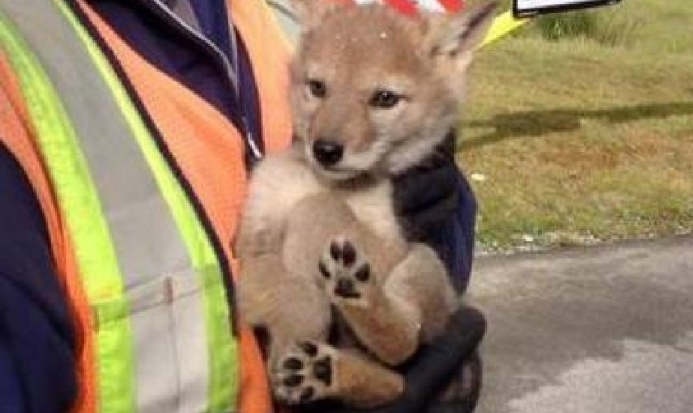 "This little coyote pup was in a storm drain off of Britton Parkway!" It's not exactly clear how the pups ended up inside the drain. But City officials said the trio was returned to the wild after their mother was spotted in nearby woodland. "I'm proud to serve our community, even the small and furry," Lee later told The Olympian. Coyotes live in North America and roam the plains, forests, mountains and deserts of Canada, the United States, Mexico and Central America. As humans take over more and more countryside, coyotes are adapting to living in cities to find food. In fact, it is becoming more and more common to see coyotes in big cities like New York and Los Angeles. 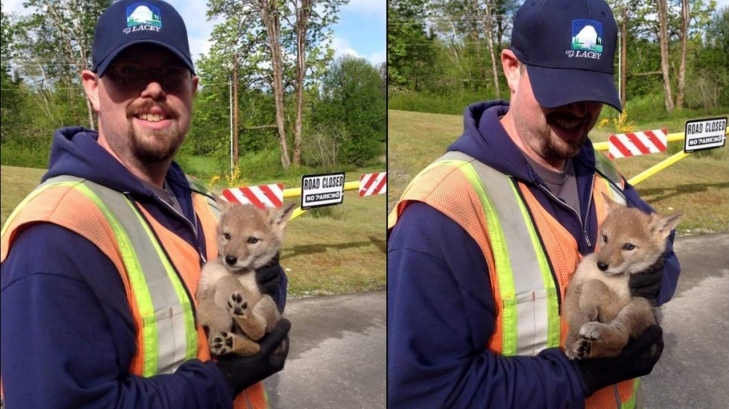 Responses to "Ridiculously Cute Coyote Pups Rescued From Storm Drain"